With every movie masterpiece, the artistic expression of film directors manifests in the approaches they take in conceiving that movie. Creating a movie classic is no piece of cake. Through years and years of working as filmmakers, some directors are able to impart some valuable know-how that isn’t taught at any film school. 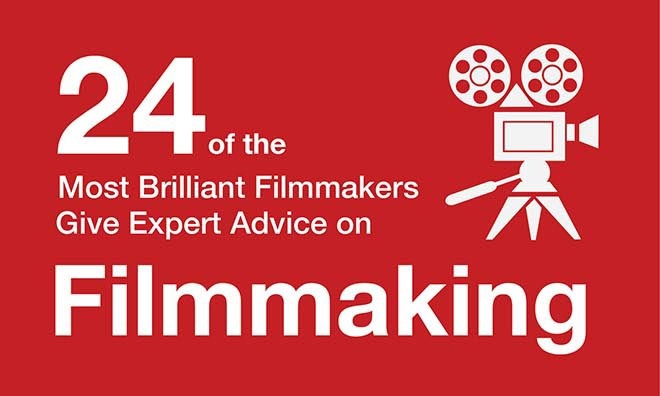 Here are some practical pieces of advice from some of the industry’s biggest names, with the help of our friends from TheFilmSavvy.com. Click on the image below to read the 24 Brilliant Film Makers quotes. Click on the image below to read quotes from Alfred Hitchcock, Christopher Nolan, Stephen Spielberg, Quentin Tarantino, Martin Scorsese, Stanley Kubrick, David Fincher, Francis Ford Coppola, Woody Allen, James Cameron, Tim Burton, Ridley Scott, David Lynch, Akira Kurosawa, Joel Coen, Orson Welles, Wes Anderson, Peter Jackson, George Lucas, Michael Mann, JJ Abrams, Ang Lee, Spike Lee and Park Chan Wook.